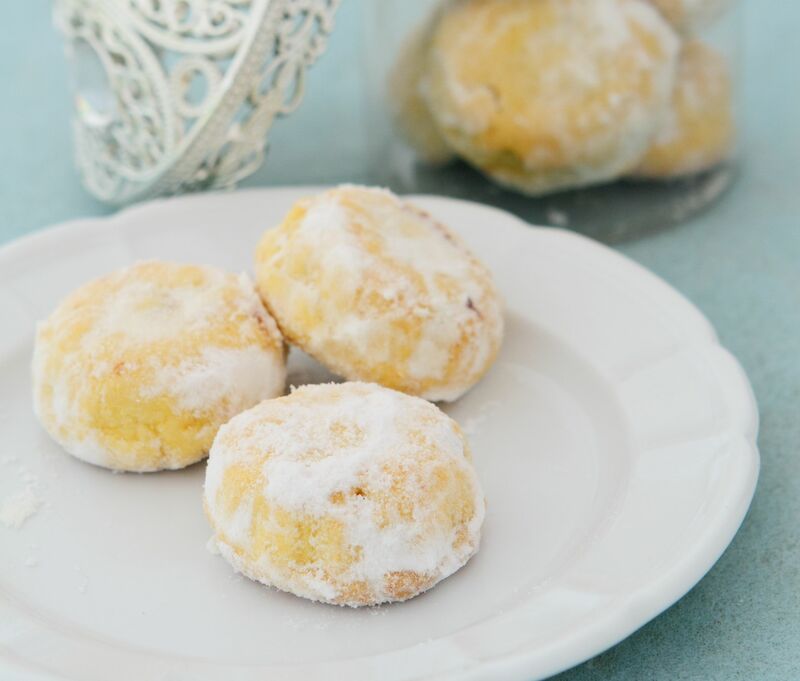 These Makmur Date Cookies contains a sweet surprise when bitten into. This recipe was first published in Flavours magazine. Sift flour and sugar into a bowl. Slowly mix in the butter till it becomes a crumbly dough. Set aside. Place all the ingredients into a food processor and blend to a paste. Tear a small amount of dough, form a ball and flatten it. Place a teaspoon of filling in the centre then gently enclose the filling in the dough. Make decorative patterns using tart pincers or a putu kacang mould. Bake in a 170°C pre-heated oven for about 15-20 minutes till lightly brown. Remove from tray then roll the cookies in the additional icing sugar. Leave to cool before keeping them in an airtight container.